Insurance companies are in business to do one thing: make money. This means that when someone gets into a car crash, the insurance company isn’t focused on making sure that the injured victim gets the money he or she needs to pay medical costs, to get better and to move on with life. Instead, insurance companies try all kinds of tactics to get people to settle for less or to take less than what their claim is worth. Our Boston auto accident attorneys know that insurance companies aren’t always honest in negotiating with their insured in auto accident cases. In January, however, the courts made that fact even more clear when they ordered MetLife to pay at least $50,000 in penalties and to refund customers an undetermined amount of money in order to settle allegations that they improperly charged a surcharge on customers in some accident cases. The settlement was reported in the Boston Globe. Under Massachusetts’ law, a person who is charged a surcharge for being responsible for an accident has the right to appeal the decision of the insurance company to the Commonwealth. If the appeals board determines that the insured was not actually responsible for causing the accident, then the insurance company can no longer charge the surcharge and must return any penalty money that had been collected prior to the appeal. Unfortunately, MetLife did not follow these rules and instead imposed costly surcharges on drivers even after the appeals board had determined those drivers weren’t responsible for the crashes they were involved in. One MetLife customer complained, prompting an investigation by officials that led to the settlement in which MetLife agreed to pay $50,000 in penalties and refund customers their money. MetLife also agreed to an audit as part of the settlement in order to determine how many customers were affected by their bad business practices and how much each should be refunded. According to the Boston Globe, the state attorney general has indicated that other insurance companies are now being investigated as well to determine if they too have violated the law. MetLife is the seventh largest provider of auto insurance in the state and many were impacted by the company’s dishonest behavior. As this most recent case shows, insured individuals cannot always trust their insurers to do what is right, fair or legally required. 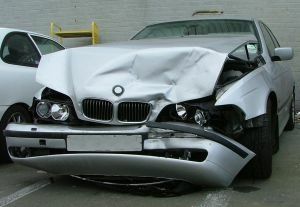 As such, it is important to be vigilant about protecting your rights after an auto accident. Keep all documentation and paperwork, check your insurance statements carefully and consult with a lawyer to handle any negotiations on your behalf with the insurer in order to make sure that your legal rights are respected.